The header is the strip across the top of the visual which allows users to drill down, tile a visual, etc. 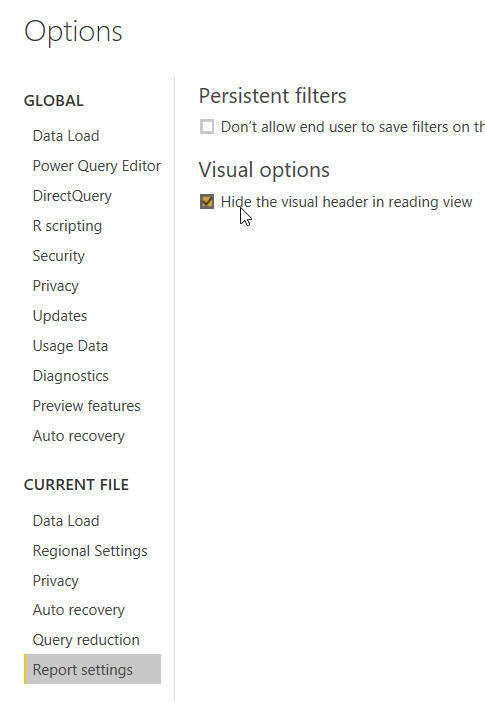 Choose this menu option to change the display setting for visual headers. Tick the box shown to hide your visuals' headers. 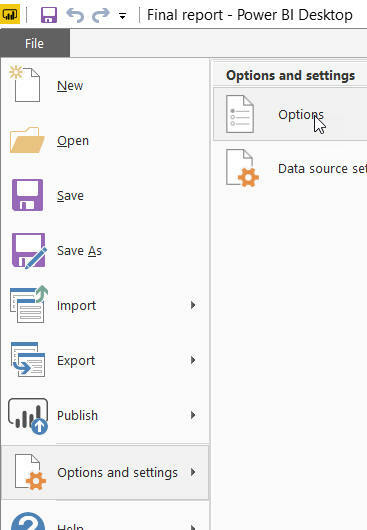 Note that you'll only see the effect of this when you publish a report (the visual headers still appear when reports are in edit mode, which is the only state in Power BI Desktop). 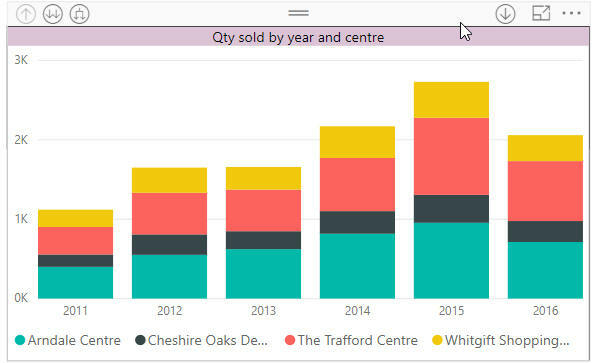 I couldn't get this to work initially - I ended up having to delete my report from Power BI Service and then republishing. Hopefully you will be luckier!